NextCom offers a variety of box and cassette type splitter modules and products. This PLC Splitter Module is a plastic module called an ABS box with ruggedized fiber jackets of 2mm and up to 3mm with no connectors. 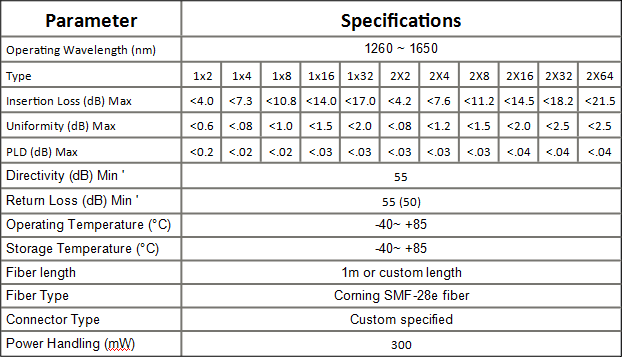 Customized designs are also available for customer needs.Pigtailed ABS splitter is most commonly used in the PON networks. It provides the complete protection for inner optical components and cable, as well as designed for the convenient and reliable installation, but its volume is relatively large. 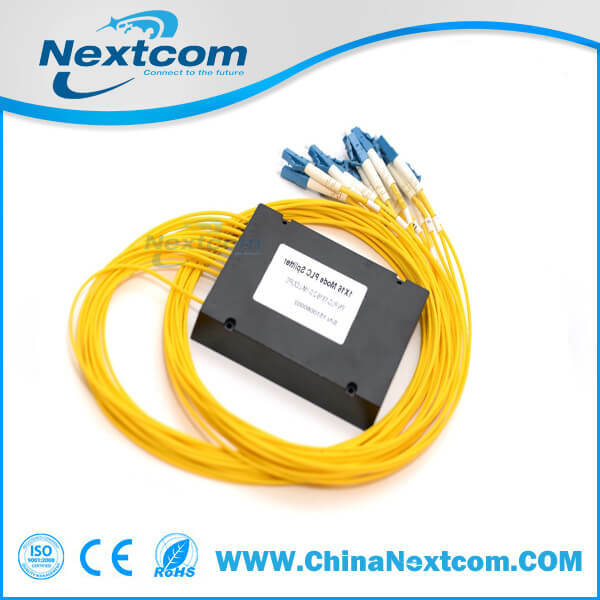 It’s mainly used for various connection and distribution products(outdoor fiber distribution box) or network cabinets.